You missed greeting your special woman of your life on her birthday. That is not good. Now, you have to send her a message to show that you value her special day, and then make her an offer that will melt her heart. Ask forgiveness but never leave her without something. 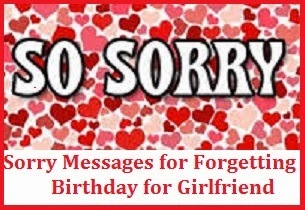 Here are some sorry messages you can use to send a sorry note for forgetting birthday for your Girlfriend or Wife. I’m sorry I forgot to greet you on your birthday. We still have a whole year to celebrate it. For me, I celebrate your life every day of the year. That’s how important you are, not just for a day. I wanted to surprise you with this gift, but the delivery did not arrive on time. I am sorry if it’s a day late. Happy birthday, sweetheart. Your birthday just passed and I feel so bad for not greeting you on your special day. I knew it was coming and so I got you a gift. But then I got sick and l slept the whole day. I’m sorry for missing your birthday. Please forgive me. I remember the month but not the exact date. I am so sorry to have forgotten your exact birthday. Remembering dates is my waterloo. Let me make it up to you with this yummy cake I baked. I hope you forgive me. You are always in my mind and in my heart no matter what the date. Here’s something for your birthday. I am sorry that it’s kinda late. Please forgive me. Happy birthday again. I am sorry if I missed your birthday yesterday. Now that everybody’s gone, let’s celebrate it alone, shall we? After the revelry of yesterday’s party, it’s about time you get a massage. Here’s my belated birthday massage for you. I am sorry if I did not greet you yesterday. I honestly forgot. After your personal exotic spa treat, I hope you can forgive me. I may not be the first to greet you on your birthday, but I will be the one to make your birthday week a pleasantly unforgettable one. I’m sorry for the late greeting, my love. I am so sorry for not greeting you on your birthday. My mind is a mess and I didn’t want to spoil your day seeing and hearing me this way, and so I secretly sent some cash for the kids to arrange your party. I will visit you this weekend. I hope you had fun. I love you, my dear. It’s been another year, my honey. This time I fouled up and forgot to call you on your birthday. I wish I can go home right now, but that wouldn’t be possible. I am sorry. Please forgive me. A gift is on the way. I hope you like it. 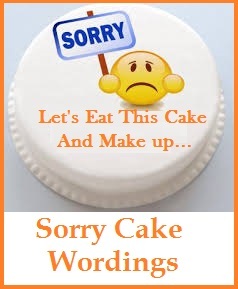 I am so sorry my dear for forgetting your birthday. I know that nothing can ever appease your frustration for my absence. Let me try with a simple gesture to make it up to you. Please look outside. 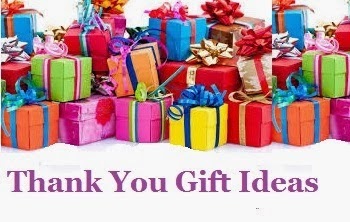 Your gift is waiting and here are the keys to your new car. This is the reason for my late greeting. Of course! I will never neglect your birthday, my love. Was it your birthday yesterday? I’m so sorry I missed it. I stopped counting since you were 25! I love you, baby. Let’s celebrate a wonderful year by dining out. Please be ready by 7 o’clock tonight. We have a reservation at the Ritz. What? Your birthday was yesterday? I thought it was today. I’m sorry, baby. Don’t worry, I’ll cancel all my appointments today to make it up to you. I just want to see you happy. Can you forgive me? You are so special and I want your birthday to be spent privately. After all the rush of partying, you deserve a grand time to rest in a luxurious place which I have reserved for us. I am sorry for the late greeting and celebration. I hope you can forgive me. I have been wanting to call you last night because I know it is your birthday, but I thought you were still mad at me. I am sorry. Belated happy birthday. I hope you had a great time.